Today was a huge blow to democrats along with Comey and Lynch. Boy, what a morning! 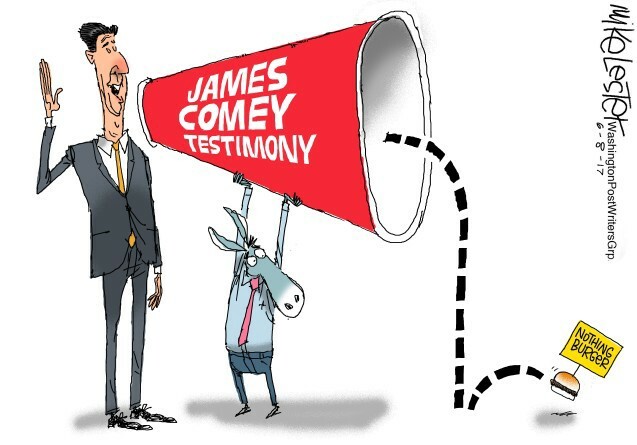 James Comey’s testimony is anything but a nothing burger. We all thought it would be and we were proved wrong. It was a great day! Well, not so great if you are former Attorney General Loretta Lynch or James Comey. So much nothing that the sitting president is going to have to testify under oath. Totally nothing, amazing nothing, believe me, it is so much nothing. Last time a sitting president testified under oath, the House passed articles of impeachment. That much nothing. Comey now claims he deleted his original memos, and the professor he gave a copy to is in hiding. Totally normal. WASHINGTON — Jack Posobiec had his Twitter sights set on James B. Comey. A pro-Trump activist notorious for his amateur sleuthing into red herrings like the “Pizzagate” hoax and a conspiracy theory involving the murder of a Democratic aide, Mr. Posobiec wrote on May 17 that Mr. Comey, the recently ousted F.B.I. director, had “said under oath that Trump did not ask him to halt any investigation. It mattered little that Mr. Comey had said no such thing. The tweet quickly ricocheted through the ecosystem of fake news and disinformation on the far right, where Trump partisans like Mr. Posobiec have intensified their efforts to sow doubt about the legitimacy of expanding investigations into Trump associates’ ties to Russia. But as the journey of that one tweet shows, misinformed, distorted and false stories are gaining traction far beyond the fringes of the internet. Just 14 words from Mr. Posobiec’s Twitter account would spread far enough to provide grist for a prime-time Fox News commentary and a Rush Limbaugh monologue that reached millions of listeners, forging an alternative first draft of history in corners of the conservative media where President Trump’s troubles are often explained away as fabrications by his journalist enemies. I would like to see a direct quote from James Comey that he deleted his memos. 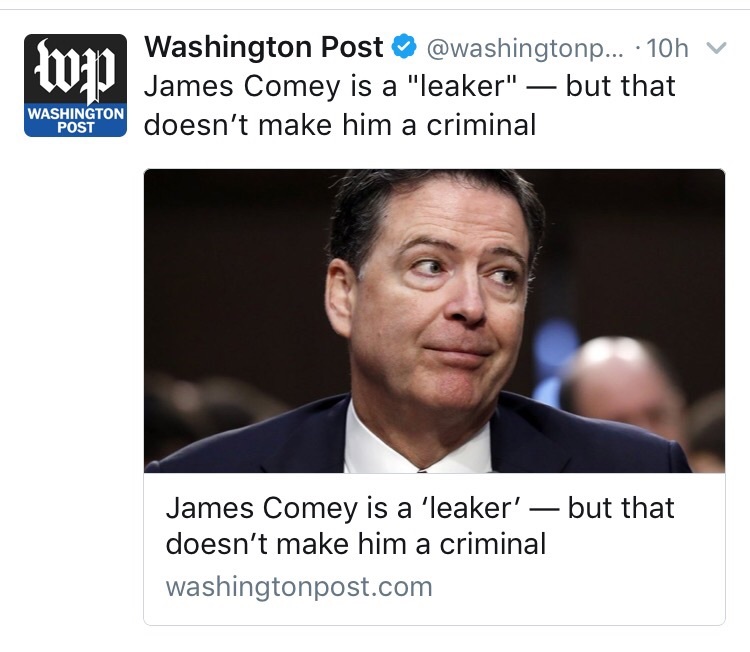 In fact if you do a google search on "Comey deleted his memos" you'll see it's a bunch of conservative websites claiming this and linking each other. There is no link to an authentic source, a signed letter or a video of Comey saying any such thing. Trumptards are gonna trumptard. That's all this is. 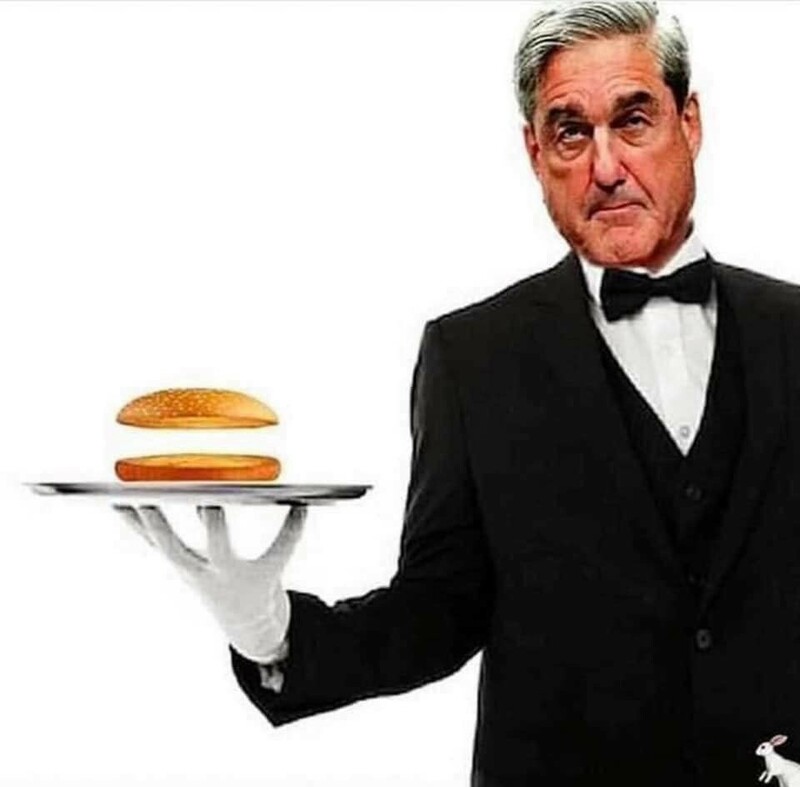 Comey's buddy Mueller also served a nothing burger.